Sticker activities are a great way to keep little hands busy! 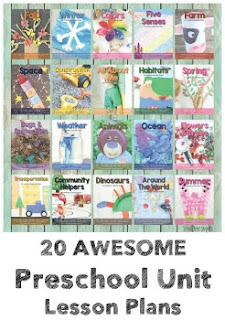 Use them as a learning manipulative, to work on fine motor skills, or just for fun! There are lots of ways to learn and play with stickers! Stickers are a FABulous way to promote fine motor skills! The manipulation and peeling of the sticker works on strengthening those fingers and encourages concentration. Stickers can also be a challenge to those whose skills aren't as developed; however, I have found that those tiny round dot stickers are the easiest to manipulate AND there are tons of great ways to use them! 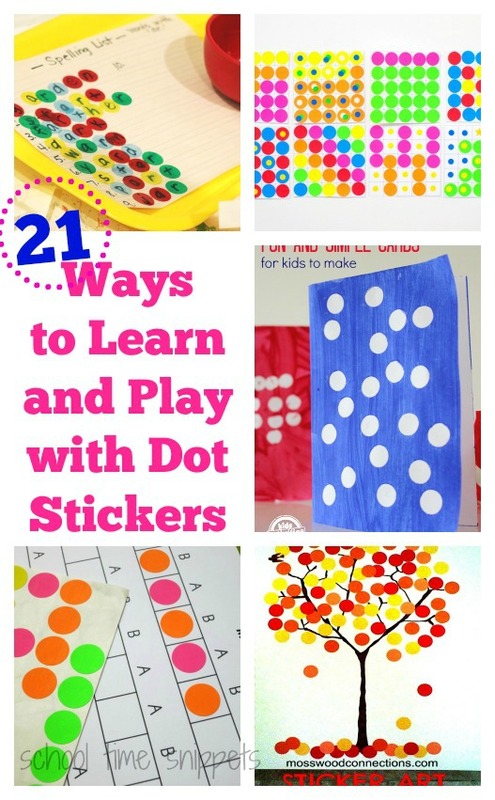 Today I've gathered 21 activities using dot stickers! So grab your packs of Primary Dot Stickers, Neon Colored Dot Stickers, or Mini Dot Stickers and do an activity or two!! Enjoy! 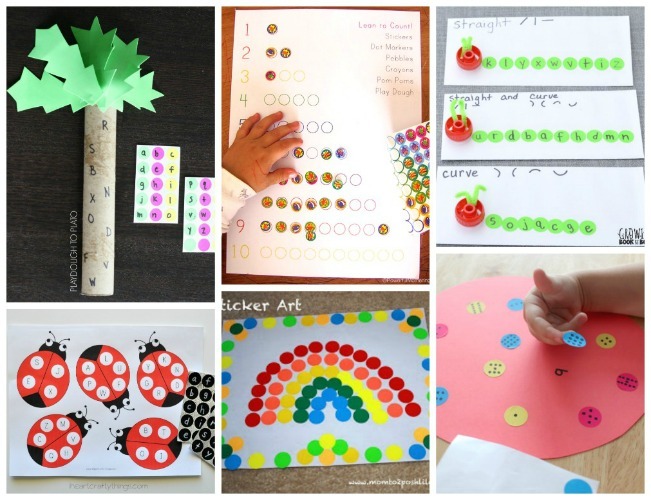 For more fine motor ideas, check these out!